Happy Friday my creative friends!! I hope you all had a delightful week full of creativity. 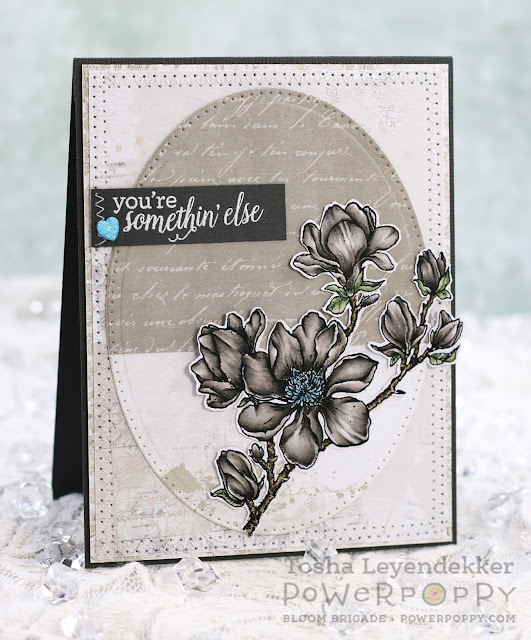 Today, I have a card to share that I made using Power Poppy's Planning for Magnolias clear set. 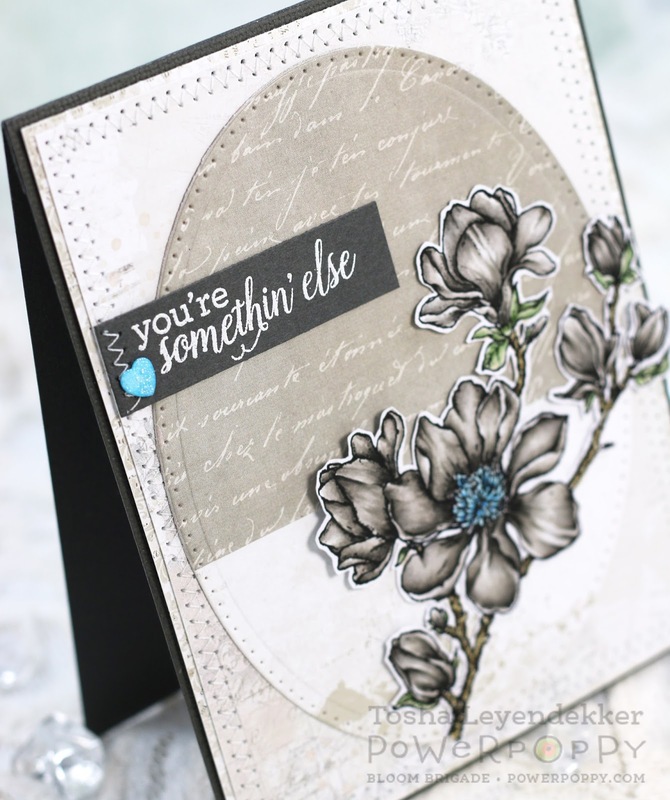 I wanted an "open face" type floral image that I could play around with, adding shadows and folds. It's not a technique I'm comfortable with, so I figured practicing is the best way to learn and grow. 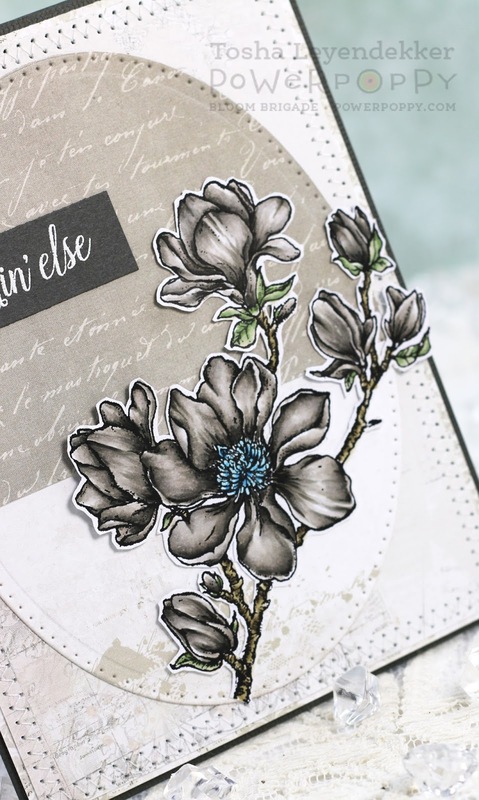 I also planned on Minc'ing the image with white foil, but in full transparency, I was happy with my coloring, and was scared what the white detail would do to it. So.......I chickened out, and left it like this. It takes me hours upon hours to color, so I might just try one bloom, Minc it, and see how it looks. Yep...I think that's going to be my next project. I used a sentiment from the Power Poppy set Prairie Cheer because it's for my daughter, and it's a perfect fit for her. I added some Glitter Gloss Aqua Shimmer (Nuvo) to the punched heart after coloring it with some Mermaid Lagoon Distress Oxide (Ranger). I also added it to the flower center, but it's hard to see in the photos. Thanks so very much for dropping by!! I hope you have a beautiful weekend! Stunning coloring. Love the shades you create. Design is perfect.